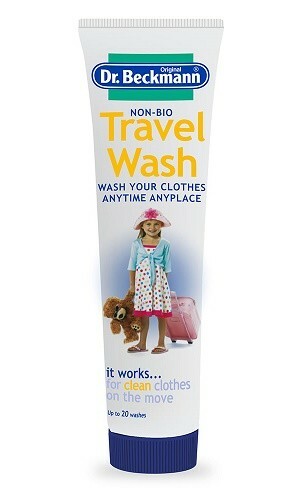 Dr. Beckmann Non-Bio Travel Wash Gel enables you to wash your clothes anytime in anyplace! The handy sized bottle works for clean clothes on the move, giving you up to 20 washes. 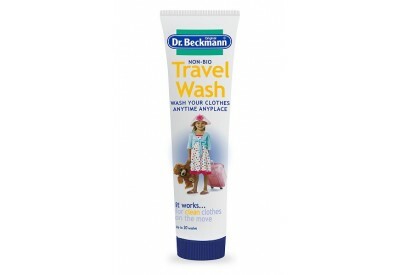 Dr. Beckmann Travel Wash is a concentrated washing gel, specially formulated to use when you're away from home. It brings colours up bright and gives you brilliantly clean whites in any type of water.